(TibetanReview.net, Aug30, 2014) – By demanding that the Dalai Lama “must fully distance himself from politics” if he wants to visit Russia, Russian foreign minister Sergei Lavrov has taken a stance which echoes China’s position while appeasing Buddhists at home, said Global Times, the international English language edition owned by China’s party mouthpiece the People’s Daily Aug 28. It cited a Chinese professor as saying Sino-Russian ties had become even closer as Moscow now counts on Beijing’s support on various fronts, including on the ongoing serious crisis in Ukraine. Lavrov had made the remarks while addressing a question at the All-Russia Youth Forum Seliger-2014 on Aug 27. He has said his government had engaged in talks with leaders of the Republic of Kalmykia, where half the population believe in Tibetan Buddhism, over the issue. “If it is a pastoral visit, the pastor should definitely withdraw from political activities. 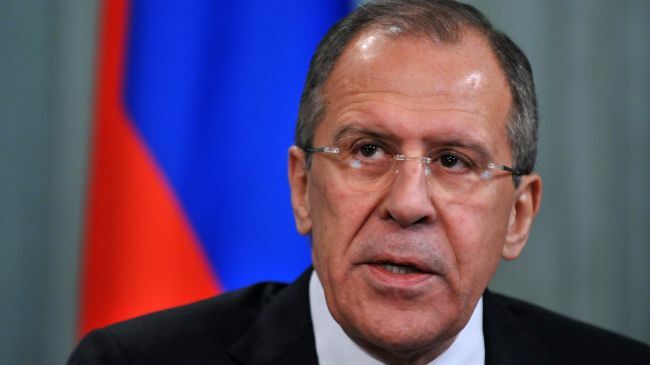 Unfortunately, we believe this is not the case,” Lavrov was quoted as having said. Xu Zhitao, an official with the United Front Work Department of the Communist Party of China Central Committee, which handles the Tibet question, has said Moscow’s stance was consistent with Beijing’s position. The report noted that Buddhism is the third-largest religion in Russia and that in 2006, Kalmykia presented the Dalai Lama with the White Lotus Order, the republic’s highest civilian honor. The report has also referred to the republic’s recent moves to invite the Dalai Lama, noting that he had last visited it in 2004, that Moscow had since then denied him a visa; that in 2012, Putin had said Moscow was working on bringing the Dalai Lama to Russia.